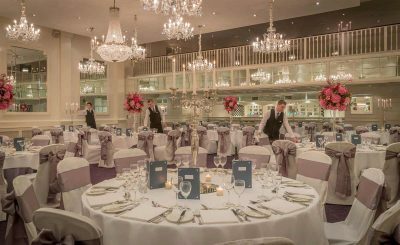 Start your very own fairytale in the heart of Galway with a visit to Hotel Meyrick’s Easter Wedding Open Day! After the excitement and celebrations have finished and the last bottle of bubbly has been thoroughly enjoyed, it’s time for the real fun to begin – planning that very special day together. 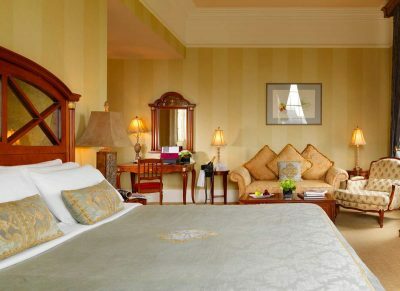 For couples in search of a location just as special as they are, look no further than the timeless and elegant four-star Hotel Meyrick in the heart of Galway’s Eyre Square. This Easter weekend the hotel are rolling out the iconic red carpet to host a special Easter Wedding Open Day, taking place on Saturday 20th April from 12pm to 4pm. View the venue’s stunning ballroom The Connemara Suite, explore the many civil ceremony and catering options and soak up the ambiance of this truly special hotel as you enjoy a glass of bubbly while discussing all your dreams with the hotel’s team of dedicated wedding experts. Couples who attend on the day will also get an exclusive first look at the new Hotel Meyrick Winter Package available for booking on selected dates in November, January, February and March. 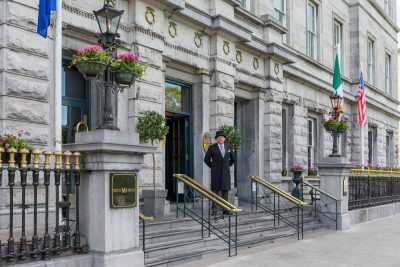 Steeped in romance and history, Hotel Meyrick has been helping couples to create special memories in the beautiful west of Ireland for over 167 years – you could say they’ve become quite the experts in doing so! Don’t miss out on this beautiful Easter Wedding Open Day and uncover a truly special venue, bringing together fairytale architecture, stylish interiors and warm Irish hospitality to create a picture perfect wedding day for you and your guests. Pre-booking by appointment is requested. To reserve your place at the Hotel Meyrick Easter Wedding Open Day or for further information contact Paula on pfeeney@hotelmeyrick.ie, visit: www.hotelmeyrick.ie or call (091) 564041.